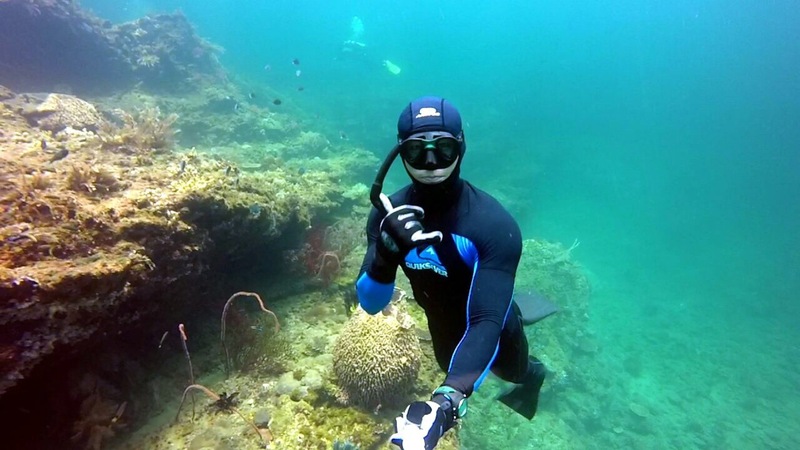 Fun, as he is casually known, would arguably be considered the face of freediving in Brunei. Active in crossfit and conscientious of the food he eats, Fun is an expert freediver as he can regularly be seen hanging on the ocean floor for minutes at a time. It was just yesterday afternoon that I got to hang out with this “Sigma” character (as he classifies himself and most of the personalities that tend to go into freediving). His upfront personality pretty much betrays the stereotypical geeky profession of IT where he earns his daily bread as Fun is a natural in the ocean and hard to miss on land. Follow him on IG and you will see what I mean. Other Interests: CrossFit, Outdoors Adventure, Martial Arts, Health & Nutrition, Sports Bikes. Prior to that, I had zero diving experience but I fell in love with the beauty of the ocean. The thought of doing it in the most natural way also had me. That’s what pretty much kick-started my journey into freediving. What advice do you have for those who want to get started? Don’t set your expectations too high. Like starting anything new, start from the bottom and work your way up. Pay a lot of attention to your mentor—their lesson and advice are proven methods to ensure your comfort and safety. When you eventually become better, keep your ego in check. Out in the ocean, a humble heart goes a long way. In your opinion, where are the best freediving sites in Brunei? There is this site called Hornet’s Reef situated offshore of Jerudong Beach. It is my personal favourite as it has the right depth and features for leisure freediving. For wreck dive experience, the shipwreck Dolphin 88 around Muara waters is also a great spot in serving the same purpose.